Mike Castleberry serves as Senior Vice President of Network Services and Business Development for HealthSCOPE Benefits. With more than 20 years experience in the health care industry, Mike has been instrumental in leading highly successful sales and marketing efforts across the health care industry. Prior to joining HealthSCOPE Benefits, Mike served as Director of Sales and Marketing for WellPoint. There, he was responsible for creating alliances with health plans, self-funded employers, and Third Party Administrators to achieve cost efficiency and improve the health of these organizations. Mike was recently appointed to the new Arkansas Health Insurance Marketplace Board of Directors by Governor Mike Beebe, and serves on the board of the Arkansas Comprehensive Health Insurance Pool as Secretary/Treasurer. He also serves on the Federal Pre-Existing Condition Insurance Plan. 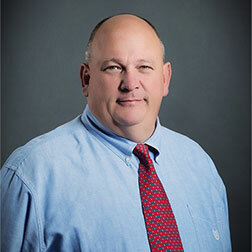 Mike is President of The Arkansas Association of Health Underwriters, in addition to serving as an adjunct professor at the University of Arkansas at Little Rock within the Economic and Finance department. Mike is also very involved in the community. He is a graduate of the Greater Little Rock Leadership Program and serves on the Riverfest board and committee.